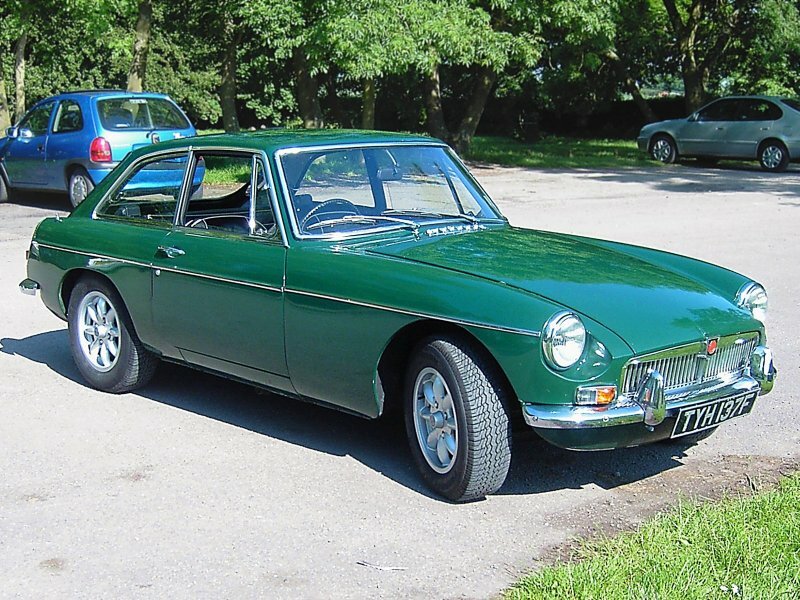 All about the 'new' 1967 MGB GT . . .
Why 'new'? Because our 'old' one was written off by our insurers after an accident in 2005! Find out more about our 'old' one by clicking on this link. 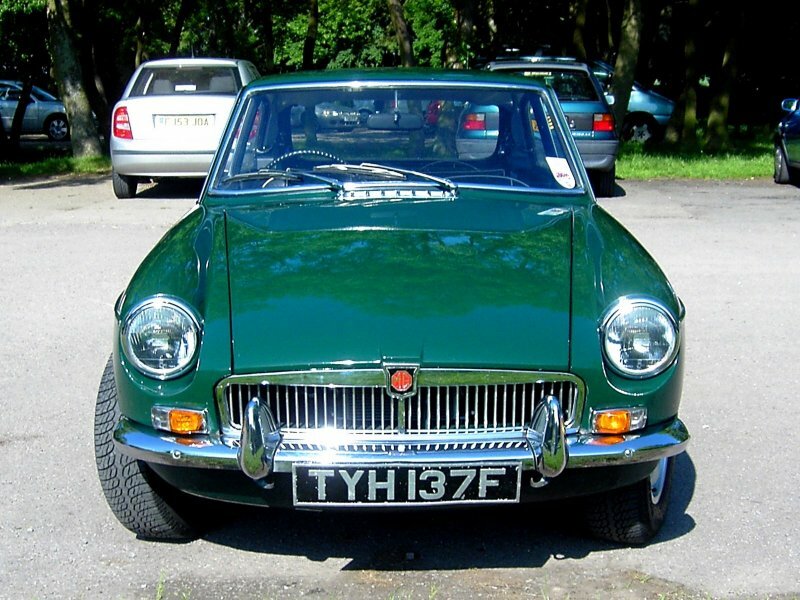 We bought TYH 137F, on 25 May 2005, from the chrome bumper MG specialists, Croydon Classics. Little is known about the car's early history but we do know that it was first registered on 18 August 1967 and we were the eighth owners. 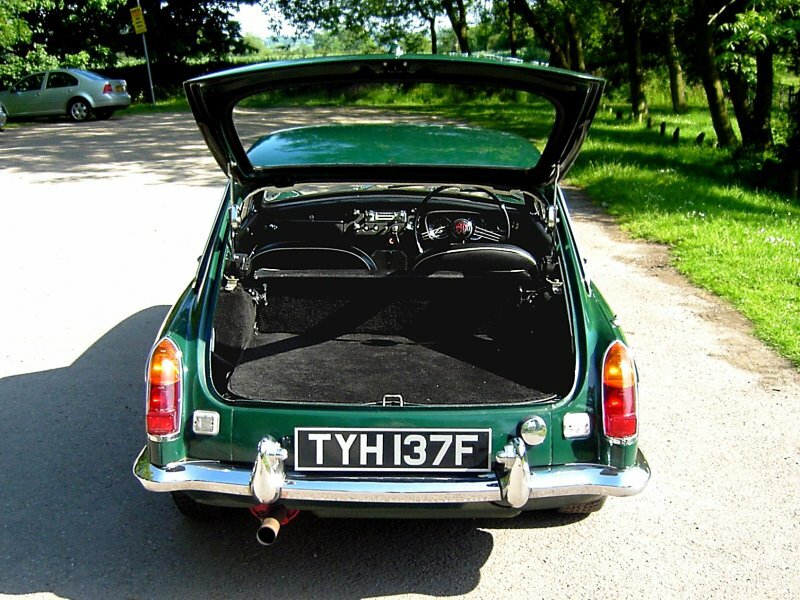 Of the seven previous owners, we have details of the last six but were unable to ascertain the identity of the first owner who kept the car until November 1973. TYH 137F left the works at Abingdon in a colour that was described on the registration document as 'Mustard' - this was probably 'Sandy Beige' a finish that was unique to the GT model and only used until September 1967. 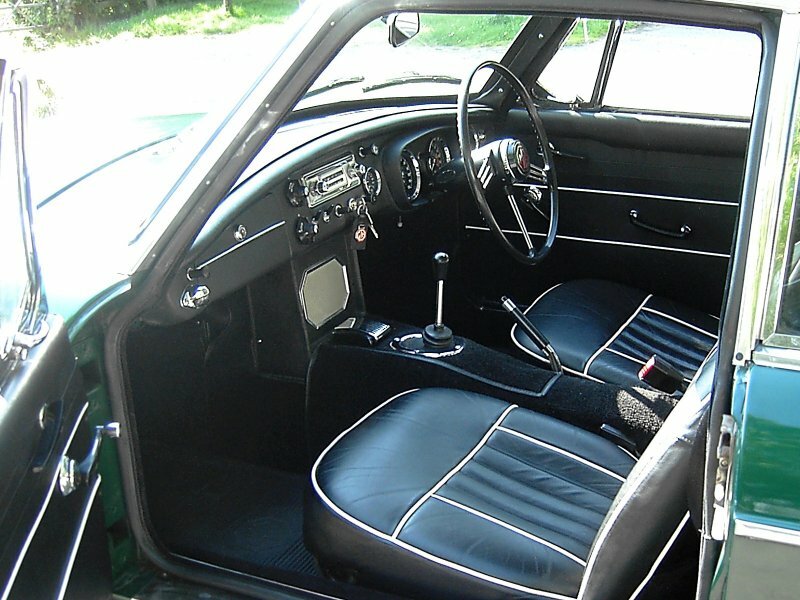 It appears that by May 1983 the car had been repainted in black but the biggest changes occurred between 1985 and 2004 while the car was owned by David Hymas of Hove in Sussex. 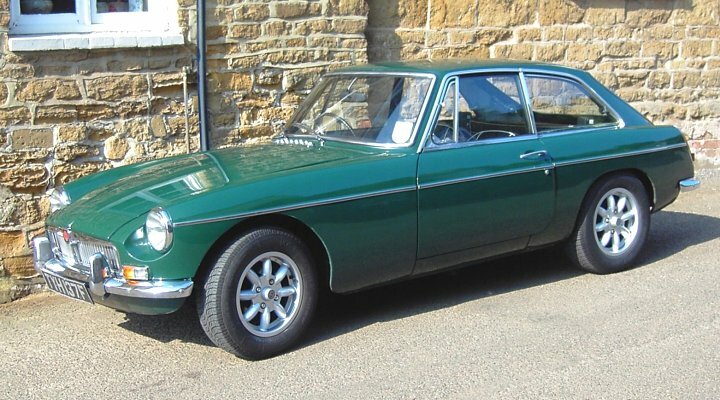 It was completely rebuilt and finished in British Racing Green with all new interior trim including black leather seats; KN 'Minator' alloy wheels were fitted complete with Avon 185 x 70H x 14 'Turbosport' tyres; The electrical system was changed to negative earth; A tuned cylinder head was fitted (which allowed the use of unleaded fuel), together with a 'fast road' camshaft, twin HS6 (1¾") SU carburetors, and, a large bore exhaust system with a three branch manifold. 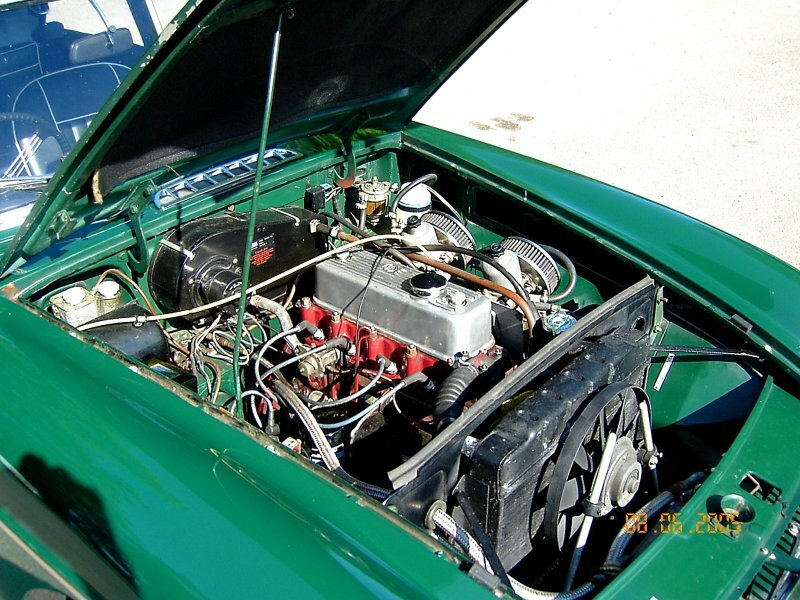 In June 2005 we arranged for the car to be tested, tuned and adjusted by Peter Burgess on his rolling road dynamometer and, after he solved an intermittent misfire (the low tension leads had been incorrectly fitted! ), the performance significantly improved to show 85 bhp at the wheels. 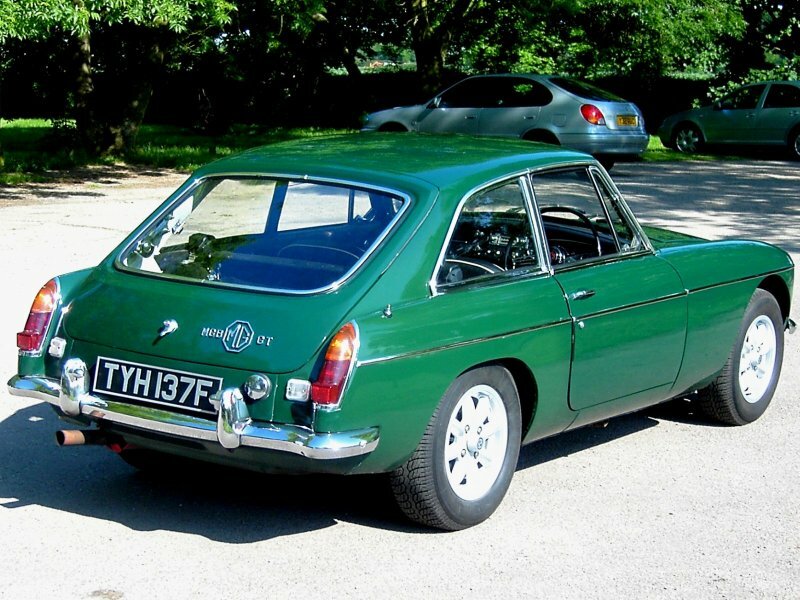 Later in 2005, a new dynamo was fitted and the fuel gauge which had long since ceased to function was replaced. We also replaced the non-original speedometer with the one from CGL 716D that had been professionally calibrated and was showing almost the same mileage on the odometer. In January 2007, we replaced the tachometer because the original (which had been converted from positive earth) had developed an intermittent fault - the replacement is a proper negative earth version as fitted to MGBs after October 1967. More recently, in March 2007, we fitted a new clutch slave cylinder and flexible line - a component that is so often overlooked - until it fails! 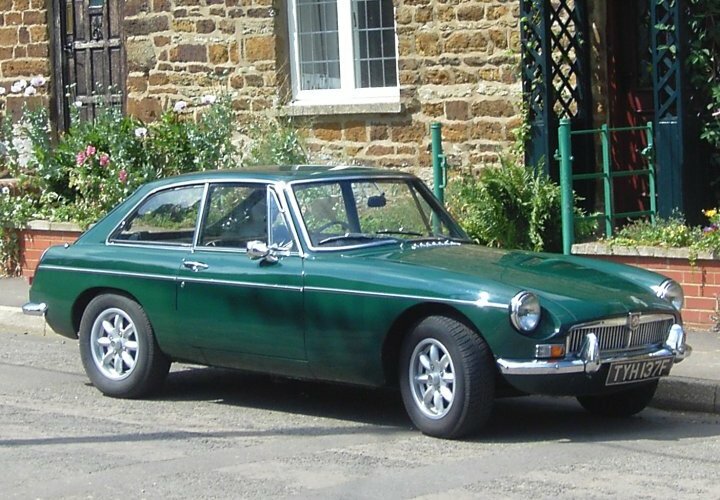 For various reasons, we didn't use the car after March 2007 and, after three years, we felt that it was too much of a waste keeping it 'mothballed' in our garage so, with some reluctance, we offered it for sale on eBay and it sold on 28 March 2010 to MGB enthusiast, Andrew Busby, of Milton Keynes . . .